Cucullia omissa Dod, 1916, Canad. Ent., 48:58, fig. 7. Diagnosis: Cucullia omissa is primarily a species of the southern Canadian forests and the Rocky Mountains. 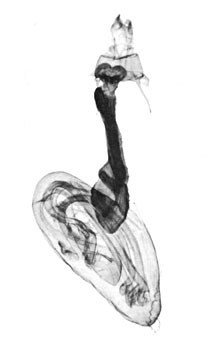 Superficially omissa is most similar to florea. 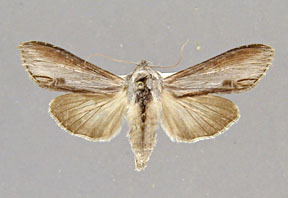 The forewing's costa and inner margin are usually distinctly darker than the middle of the wing (unlike florea), and omissa has a diffuse brown shade running from the orbicular mark to the apex of the wing. This mark is weak or absent in florea. The overall appearance of omissa is smoother and more velvety than in either florea or postera, although this quality is difficult to describe. The forewing also appears broader versus length than in either of these other two species. 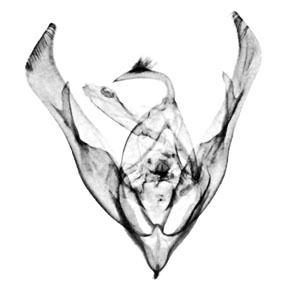 These differences are best appreciated by examining the specimens at the bottom of this page. Cucullia omissa is easily separated from Cucullia postera by the smooth coloration of the forewing, particularly the absence of distinct rusty red patches. 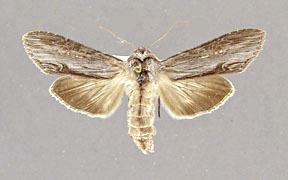 Cucullia omissa is easily separated from both florea and postera by the greatly reduced basal process of the sacculus of the male genitalia. 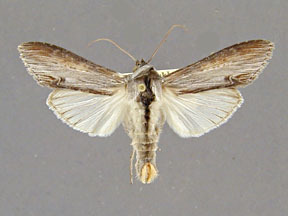 The base of the hindwing is dirty brown in omissa, but dirty white in postera. The vesica of the aedoeagus of omissa has a single spine on a diverticulum. The diverticulum is a single small, round, unmodified structure. There is another small round diverticulum near the origin of tail of the vesica. In contrast the spine in postera and florea is on a long diverticulum which is itself part of a double, large diverticulum. There is no small diverticulum from near the origin of the tail of the vesica in postera but a small one exists in florea. Wing length from base to apex: mean = 21.67 mm., standard deviation = 0.80 mm., n = 10. Distribution: Cucullia omissa ranges from the mountains of New York and New England, throughout the Maritime Provinces of Canada as far north as Newfoundland, west through southern Quebec and Ontario, the southern plains provinces and Montana to British Columbia and Washington. 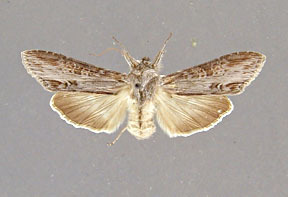 There are specimens of omissa from Colorado and Utah, but the forewing is distinctly brighter with a stronger brown shade along the costa. The southern most extension of the range of the species seems to be in northern Arizona along the Mogollon Rim. 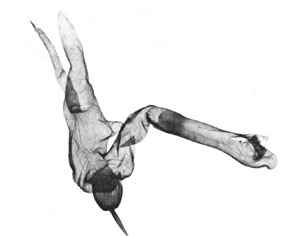 Larva: The early stages have not been described. Adults have been collected in June and July. 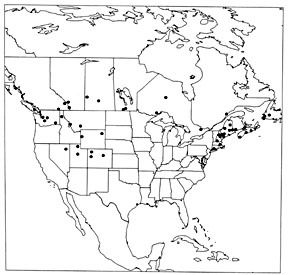 Foodplants: There is a adult from Nova Scotia in the USNM reared from Aster umbellatus (Asteraceae) by D.C. Ferguson.